Immaculate Consumption provides science-based guidance at the critical moment of consumption when taking complete responsibility for what you choose to put in your mouth is absolutely vital. Once you’ve applied a few easy-to-learn principles and developed some supportive behavior patterns, based on my decades of experience, you’ll be pleasantly surprised how what was once such a problematic issue in your life seems not only manageable but relatively effortless. 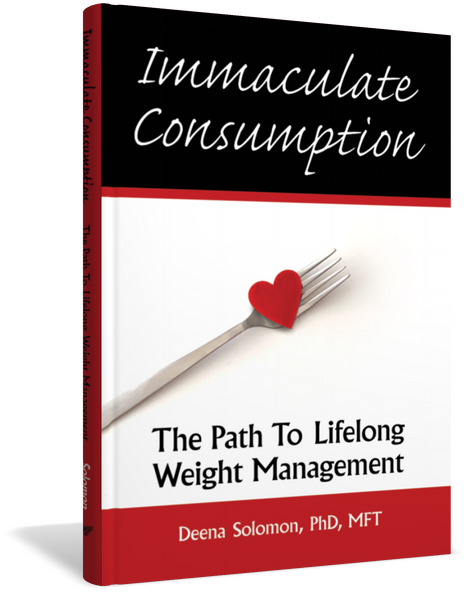 Immaculate Consumption details Dr. Deena Solomon’s program that is designed to extinguish all the guilt and shame and banish all the judgments and negative self-talk about eating—especially overeating. It acknowledges that food can be legitimately be used in moderation to self-soothe without feeling guilt. The focus of the IC program is to help you learn self-management, particularly the management of the major contributing factor to overconsumption: those “non-hunger” eating events. It incorporates neuroscience research on habit formation that helps “train the brain” and makes positive choices easier, as well as insight and tools to help you recognize and get your needs met. 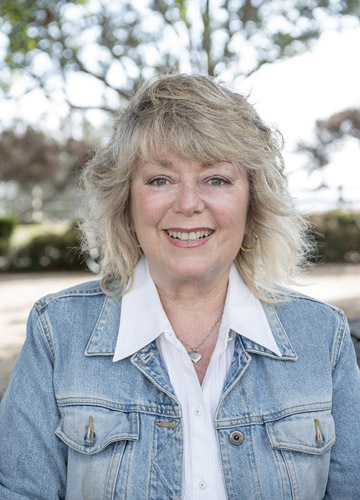 And where this program really shines—and takes off where most others fail—is in helping you recover from those inevitable moments when you fall short of meeting your expectations and goals about food choices and/or weight management. Instead of abandoning your program and beating yourself up, as you have probably repeatedly done in the past, you’ll be able to quickly reframe what happened, take responsibility for your decisions and regain control with your very next bite. For over three decades, I have successfully treated hundreds of overweight patients, helping them to attain and manage their weight loss. My specialty is the application of classical and operant conditioning behavior modification principles specifically designed to permanently alter each patient’s relationship with food. U.S. Surgeon General Richard Carmona has stated, “Obesity is greater threat than terrorism.” William L Weis, a management professor at Seattle University states that the obesity industries, including commercial weight-loss programs, weight-loss drug purveyors, and bariatric surgery centers will likely top $315 billion this year, nearly 3 percent of the overall U.S. economy. Indeed, recent data shows that over 68% of U.S. adults are now overweight or obese. The book will present a methodology that readers can personalize to achieve lifelong weight loss and maintenance without dieting. The program is based on proven, scientific learning theory principles that have created paradigm shifts in the field of psychology. Cravings and deprivations are extinguished at the onset because having to deal with temptations and the repeated failures to resist these temptations invariably undermine the dieter’s feeling of self-efficacy and self-worth. In this program, dieters are infused from the get-go with a sense of well-being that supplants all the embedded negative scripts relating to food. It’s been my great privilege to be a proactive participant and mentor in this process. I am eager to be your guide, too! Immaculate Consumption© presents a methodology that readers can personalize to achieve lifelong weight loss and management without dieting. The program is based on proven, scientific principles of learning theory that have created paradigm shifts in the field of psychology. In this program, cravings and deprivations are extinguished at the onset because having to deal with temptations and the repeated failures to resist these temptations invariably undermine the dieter’s feeling of self-efficacy and self-worth.